I find a strange pleasure in getting lost, intentionally. In a world that is fully mapped with extreme detail, where the eye-in-the-sky of Google Earth can bring me to view any tiny remote place on the planet, I sometimes long for the feeling of not knowing where I am. Being lost, at least temporarily, in a natural setting brings me the (false) sense that the world is not so small after all. Where not essential, like in a busy urban environment, I prefer to not use electronic navigation aids. I roughly work out where I want to head away from busy places and then often I just want to explore. Lately I have been finding myself more and more drawn to dirt roads where a clear direction is not defined. 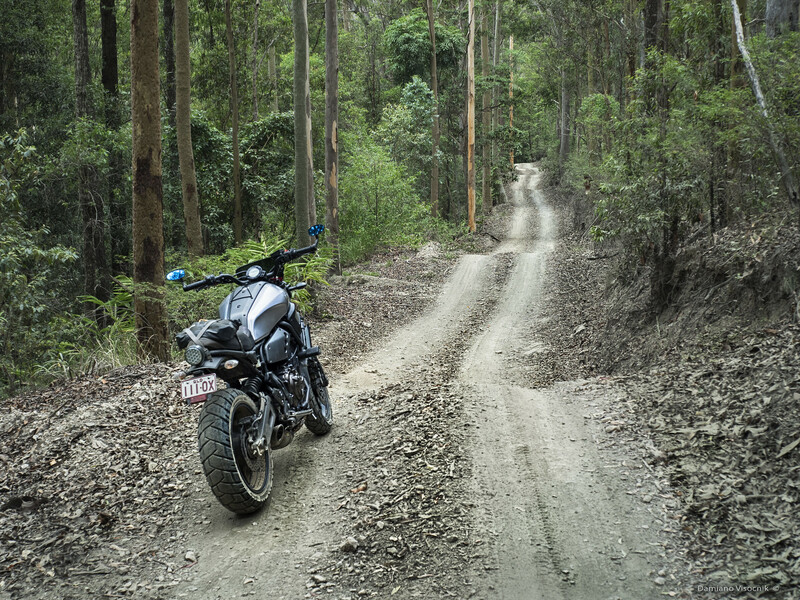 I choose a forest with a network of trails, some rather smooth, some very rough, not suitable for my riding choice. I have to make a judgment call not to bite more than I chew. As they say: when you come to a fork in the road, take it. Sometimes my gut feeling says right and other times left, according to what valley or mountain ridge peek through the forest trees. Last Sunday I had full tank of gas and enough water in my backpack to keep thirst at bay. I rode for a few hours, stopping at times when the views demanded it. Slowly I could no longer work out the right perceived direction to get back onto the pavement. 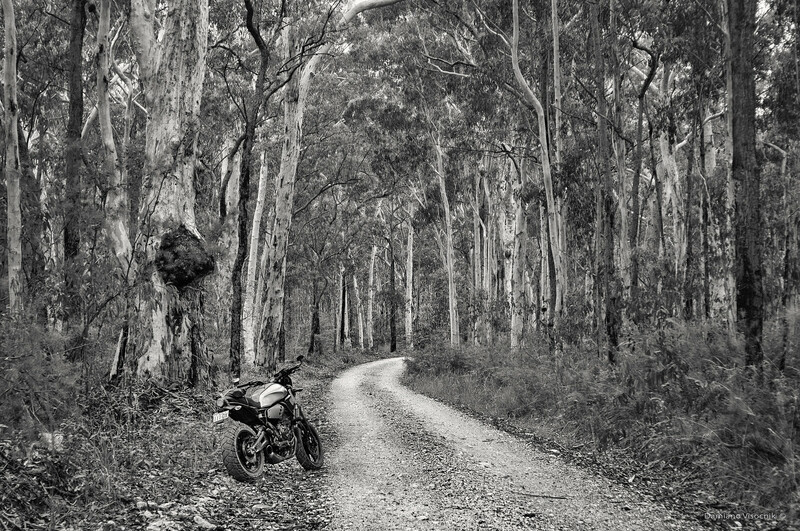 I knew if I rode long enough I could have popped out somewhere but the rutted, rocky and pot-holed tracks were tiring me out; I didn't want to make a mistake and crash. I stumbled across a 4X4 driver, stopped at an intersection and swallowing my manly pride rode up to the driver side and asked for directions. She had a phone in her hand looking at a map and pointed me in the direction I came from: "take a left when you come at the last intersection, keep left and eventually you will get out". I had my phone in my pocket with detailed GPS maps too but somehow it was easier and nicer to ask for directions.